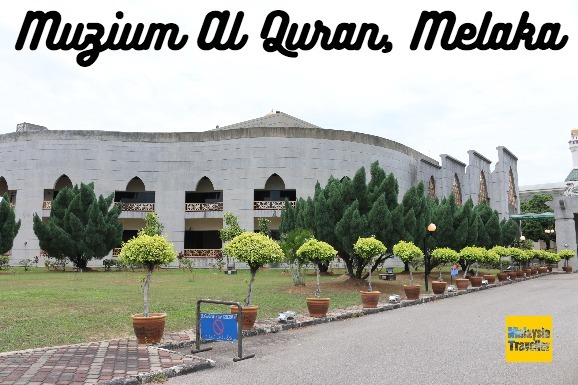 Muzium Al Quran Melaka (Melaka Al-Quran Museum) is located next door to Al Azim Mosque, Melaka’s state mosque. The museum was officially opened on 11 October 2006 with the objective of providing informative content on Islam while spreading the knowledge and preaching on the purity of Islam to society. This spacious museum covers two floors although, on my visit, the top floor was closed, apparently due to an electrical problem. 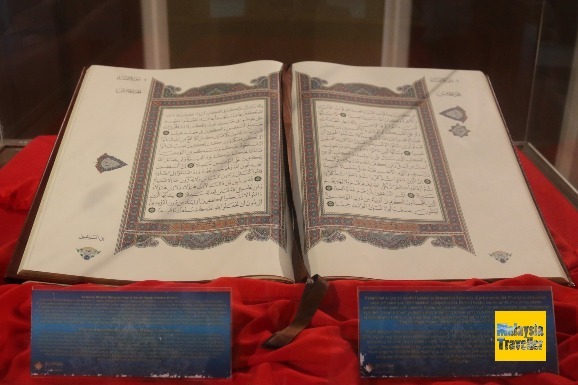 The exhibits on the ground floor included a collection of rare and beautifully decorated and inscribed copies of the Quran. 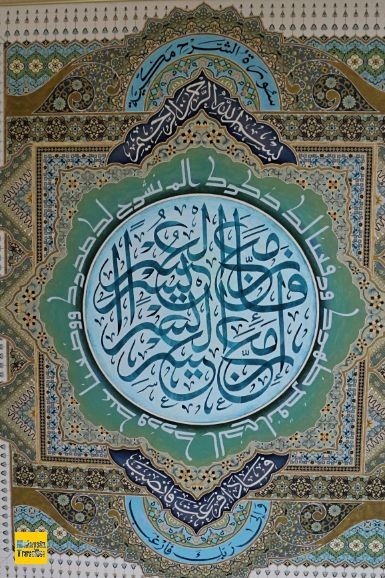 Examples of fine calligraphic art were also on display. Graphic wall panels provided information on topics such as the Revelation of Al-Quran, the history of the development of Al-Quran, Al-Quran recitation events and so on. Since the museum was only half open it would be unfair to make a judgement but from what was on display I would say that there are better Islam-related museums in Malaysia, notably the wonderful Islamic Arts Museum in KL, the Selangor Islamic Arts Garden Complex in Shah Alam and Malacca’s own Islamic Museum. The museum is open from 9 am to 5.30pm. Closed on Mondays. On Fridays the museum closes for prayers from 12.15 pm to 2.45 pm. Entrance is RM 2 for adults and RM 1 for children.